Are you trying to build an engaged loyal following that loves you and your business? Have you tried to use video, podcasting or social media to build engagement? I explore these questions with Pat Flynn for our new Social Media Marketing podcast. 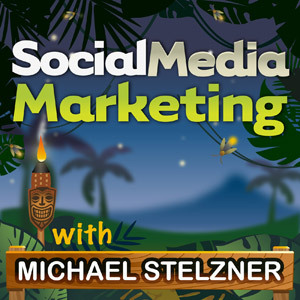 The Social Media Marketing podcast is a brand-new show from Social Media Examiner. In this episode, I interview Pat Flynn, founder of Smart Passive Income. Pat shares insights into his tactics and strategies and how social media content contributes to the success of his business. You’ll learn how to create content to publish on different social media platforms to connect to a large audience. And you’ll discover the techniques to use to build a loyal fan base. Pat explains how content plays a key role in his business. You’ll learn why his focus is to provide valuable content for those looking for information. You’ll hear how you can do this when you share content based on your own experiences. Pat shares the results his business has had from his different content platforms: blog, video and podcast. Listen to the show to discover Pat’s personal stories behind his successful business. Pat talks about the different ways he shares personal information about himself to connect with his audience and how he incorporates this into his business content. Pat shares the reason why he gives his audience strategic insights into his personal story. Pat lets his audience know he is a father with this image placed at the top of his site. Pat shares how he connects with his audience on Facebook. You’ll find out the strategy behind the different components of Pat’s Facebook page photo and how this strategy helps him connect with his audience. Pat’s Facebook page shows him on a personal level and also on a brand level. People like to connect with people. You’ll pick up some useful tips on how to build affinity online. Listen to the show to discover why Pat leverages his “trifecta” content creation strategy (blogging, video and podcasting) to connect with a wide audience. YouTube is the #2 search engine in the world. Pat explains how he uses videos to respond to questions from his audience. Pat explains how this strategy works well for his business and drives traffic back to his website. Listen to the show to find out how Pat intentionally uses keywords in his videos for great results. 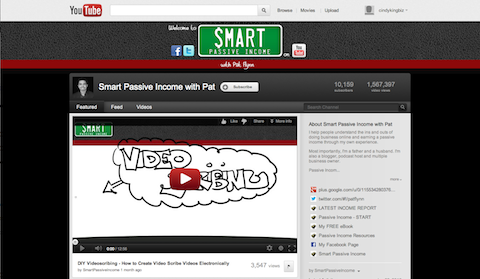 Check out the Smart Passive Income YouTube channel. Pat blogs three times a week. He publishes content based on his own experiences and explains what he does wrong, what he does right and the results he gets. He’s very transparent with all of the different processes. Pat talks about the Niche Site Duel, where he was challenged to build a website from scratch. Pat publicly displayed the process and how it reached #1 in Google. Pat explains the role email marketing plays in his business model and why it’s crucial for business. You’ll discover why email is still the best tool to use to connect with people in a direct and personal way. Listen to the show to discover insights into the business strategies behind Pat’s successful blog. 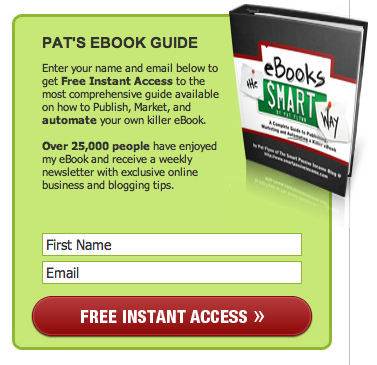 This email subscription box on the Smart Passive Income blog plays an important role in Pat’s business strategy. You’ll discover how Pat was surprised by the extent that podcasting helps his brand. Learn how Pat discovered that 20% of his readers find his website through his podcasts. Find out how to train your podcast audience to get to your blog with calls to action in your podcast. Pat uses the Pretty Link Pro plugin and domain names for easy redirect URLs to get podcast listeners to come to his site. Pat explains how you can create a podcast that can then become a blog post and how this can work in both directions. Listen to the show to find out what podcasting can do for your business. 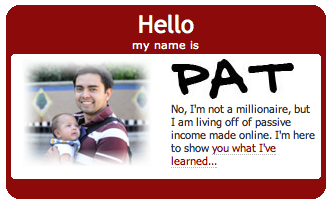 Many Smart Passive Income podcast listeners discover Pat’s website through the podcast. Pat talks about why it is important to publish content on multiple platforms. By putting yourself out there, you give people multiple opportunities to find you. It’s essential to be consistent in publishing content, be consistent in your message and be consistent in your branding. Listen to the show to find out why you need content on different platforms and in different formats. Screenflow is software for Apple users to record what’s on their computer screen and also for recording videos using the computer camera. Camtasia is an alternative for Windows (it also works on a Mac). Listen to the show to find out how to integrate video into your content strategy. Don’t miss Social Media Examiner’s Facebook Success Summit 2012 (online conference). Join 20 Facebook experts at Social Media Examiner’s big online conference! Go here to learn more. What do you think? What are your thoughts on building a loyal following? Please leave your comments below.